STEVENSON VALUATION GROUP | "… Building Value for Your Business and Our Community"
Stevenson Valuation Group is dedicated to providing independent comprehensive business valuation services. The firm’s commitment is to provide a well reasoned and defensible estimate of value based upon professionally proven methods that are accepted in the market place and in the court room. 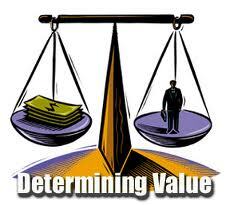 The value of any business is determined by a complicated set of factors. And, for this reason, it is important to work with a valuation professional skilled in selecting and applying the appropriate methodology. The valuation professionals at Stevenson Valuation Group are properly credentialed and comply with professional appraisal standards. Our appraisal reports are written in an easy to understand format and each engagement undergoes a stringent review process to ensure quality. The valuation process employed by Stevenson Valuation Group includes an analysis of prevailing market and industry conditions, historical performance of business operations, and future performance expectations. We conduct independent research and interview key members of management regarding past trends and the future outlook for the business. And, we perform a risk assessment to determine the desirability of the investment. Communication with the client is an essential ingredient in every valuation engagement. The firm’s valuation professionals are committed to regular communication throughout the valuation process in order to ensure all critical components of the engagement are understood. A draft of the valuation report will be submitted for your review and discussion prior to the issuance of the final report. We perform business valuations for entities operating in a wide variety of industries. We work extensively on valuations for gift, estate and inheritance tax planning, merger and acquisition transactions, buy-sell agreements and marital dissolution proceedings. In litigation, we provide strategic input necessary to resolve matters in which mediation, arbitration, or other alternative means can be used to avoid prolonged legal proceedings. We have been called upon to serve as the joint expert representing both parties in a dispute. We carefully evaluate the scope, dynamics and technical aspects of each project, so that we can best meet the unique requirements of the engagement. We believe that education, professional commitment, experience, and communication skills are key qualities that valuation professional must possess.